The RBI's MPC meet is likely to be the top factor guiding the domestic equities market on Wednesday which will also track stock-specific action, movement of rupee, oil prices and FII inflows. The RBI's Monetary Policy Committee (MPC) meet is likely to be the top factor guiding the domestic equities market on Wednesday which will also track stock-specific action, movement of rupee against the US dollar, oil prices and FII inflows. The RBI's rate-setting panel Tuesday started its 3-day deliberations for the first bi-monthly monetary policy of 2019-20 amid expectations of a cut in key lending rate by another 25 basis points to boost economic activities. The six-member MPC, headed by RBI Governor Shaktikanta Das, will announce the resolution of the meeting at around noon on Thursday. On the global front, British Prime Minister Theresa May said Tuesday she will seek another "short" extension of Brexit in order to pass the deal she agreed with the European Union. Japanese services sector activity expanded in March at a slightly slower pace than the previous month as growth in new business slowed and business optimism was at an 18-month low. The Markit/Nikkei Japan Services Purchasing Managers’ Index (PMI) fell to a seasonally adjusted 52.0 in March from 52.3 in February. On the home front, the domestic equity market ended in the positive territory on Tuesday. 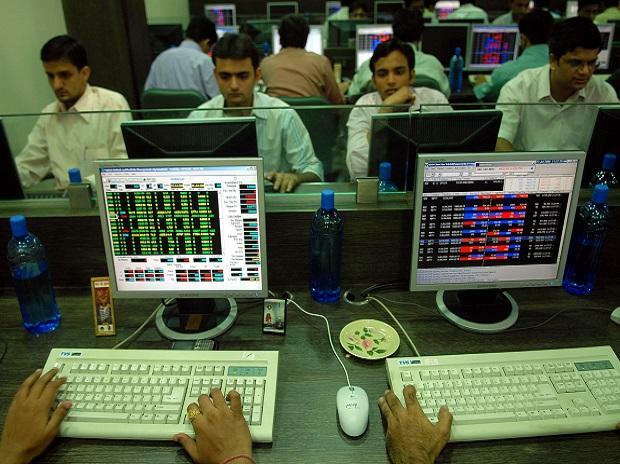 The S&P BSE Sensex closed above the crucial 39,000-mark for the first time at 39,057, up 185 points or 0.48 per cent. The NSE's Nifty50 index closed at 11,713. Asian shares hovered near seven-month highs early on Wednesday as global investors paused for breath after the strong rally seen earlier this week. MSCI’s broadest index of Asia-Pacific shares outside Japan was up less than 0.1 per cent early in the Asian trading day. Australian shares were up 0.6 per cent, while Japan’s Nikkei stock index added 0.2 per cent. On Tuesday, the Dow Jones Industrial Average fell 0.3 per cent to 26,179.13 points, the S&P 500 was flat and the Nasdaq Composite added 0.25 per cent to 7,848.69. Oil prices rose for a fourth day on Wednesday, holding firm despite an industry report showing that U.S. inventories rose unexpectedly last week, with supply cuts and sanctions supporting the market. Marico: Company expects improved operating margin in Q4. Jet Airways: Additional 15 aircraft have been grounded due to non-payment of dues to lessors.